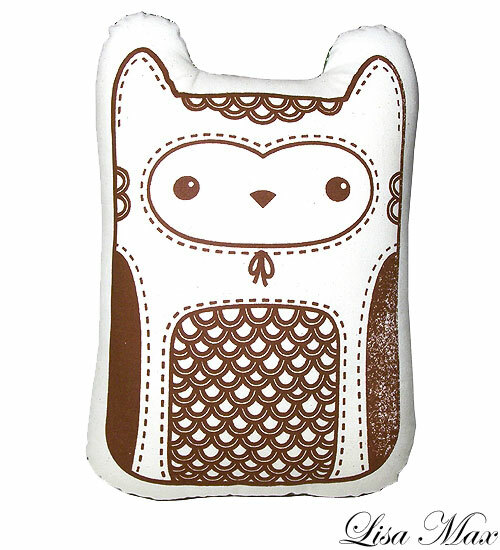 This hand printed owl shaped cushion is by Lisa Max. You can get it here for $29. 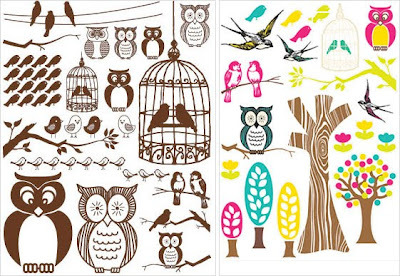 These are some very wonderful animal stickers made by illustrator Lotta Bruhn. I love the color scheme. 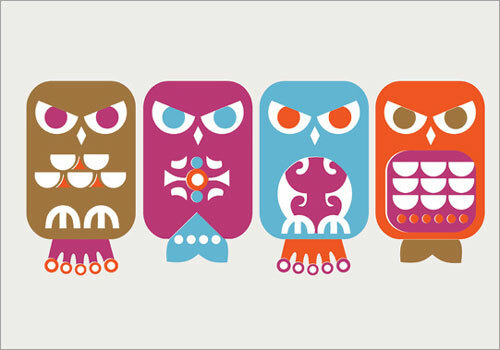 These are perfect to be used to make a greeting card or as a gift tag. Get them here for free! 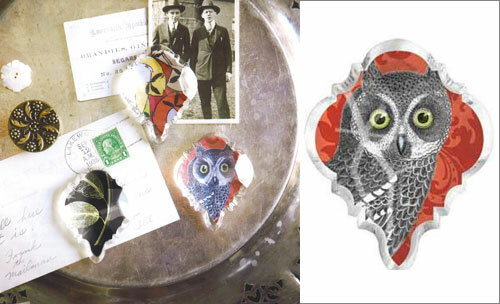 This cool owl bottle opener by FluffyCo would make a perfect gift for an owl lover. It's hand made and hand screen-printed in San Francisco. One thing which gained my attention about this company is that they produce everything domestically to ensure fair support for the local community. Kudos to them! 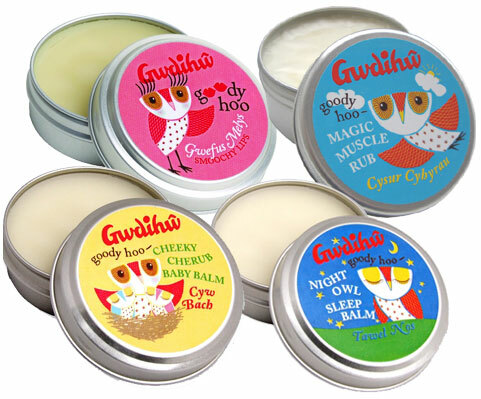 Gwdihŵ, pronounced 'goody-hoo' is a Welsh word for 'owl' and a name of Rowena Mansfield’s herbal balms. 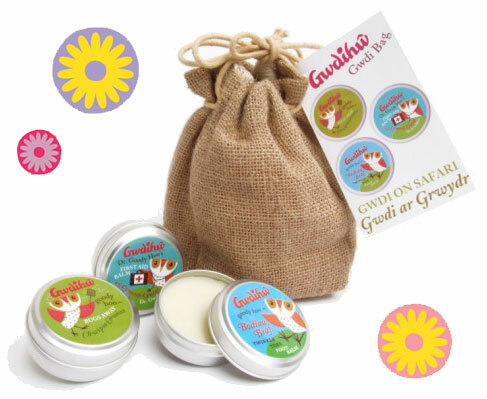 They make balm for everything from nourishing balms for dry hands to aromatic balm for sore muscles. 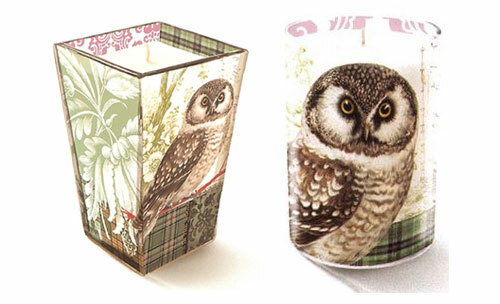 I could use Night Owl Balm for the sleepless nights when my mind is wandering and pondering (about my next post). To be honest, I'll like to collect every little tin as it makes me so happy to look at their illustrations, each of which is cuter than the others. 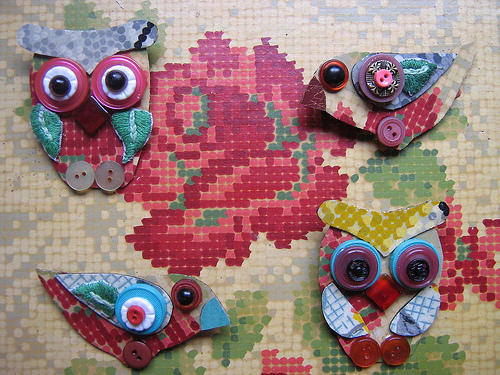 This is not only a cute brooch, it's a brooch made out of old linoleum tiles and vintage buttons. Who would have thought it? Betty Jo did. She hand crafts every piece in her home studio and uses recycled material in creation of these wearable art. 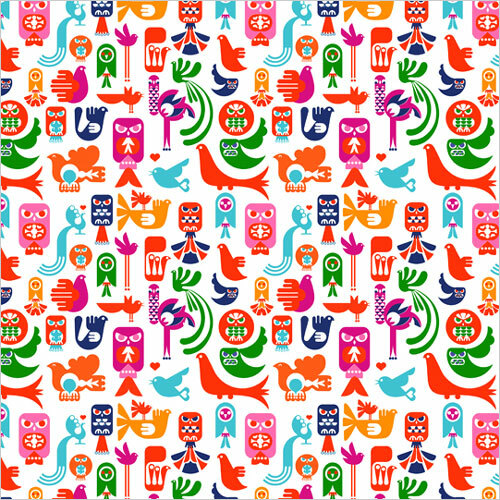 She feels "passionate about giving life and beauty to peoples unwanted and discarded bric-a-brac, saving it from heading to landfill, and making unique and quirky characters to wear and share". Awesome! See more of her brooches and pendants here. 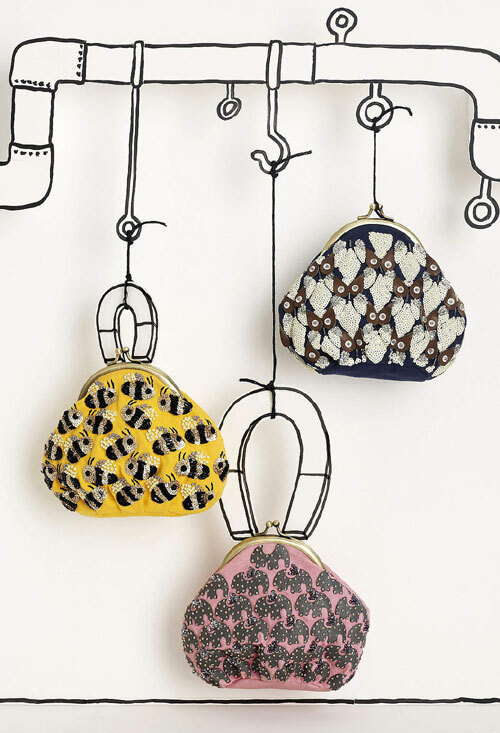 This lovely coin purse by Anthropologie is new on my must-haves list (for myself or my sis?). This is super cute! 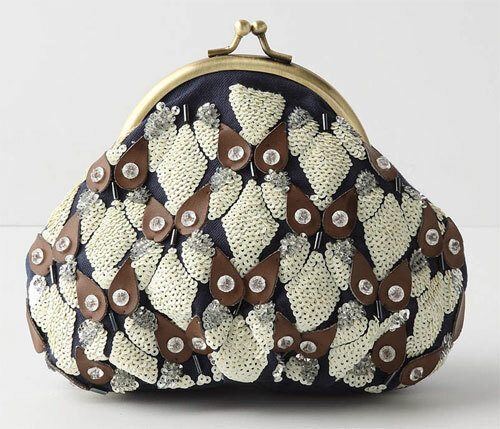 There is not one thing I don't like about this purse. 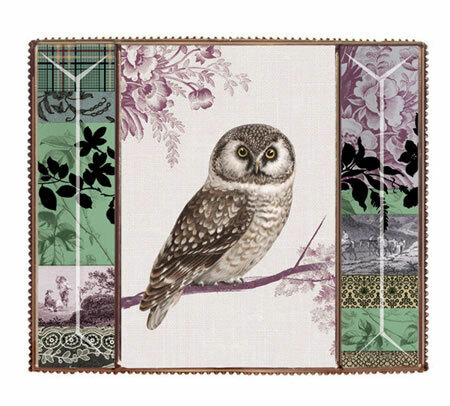 It has gorgeous frame, kiss lock, sequins, it's black and of course it has owls! 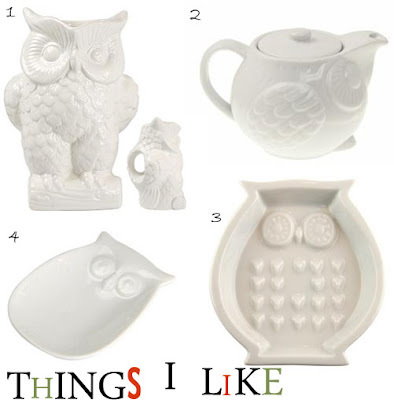 I would love to get everything at The Cross, especially these ceramic items. That teabag holder is the cutest of them all. May be I'll order it as they ship to the US! Sanna Annukka is a London-based illustrator and printmaker whose majority of work is influenced by nature. 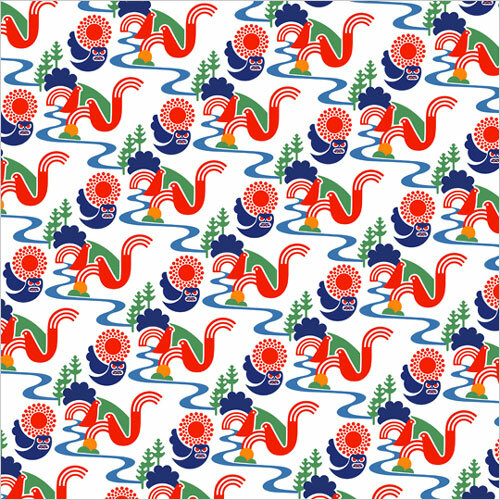 While growing up in Finland, she was inspired by stories of Finland’s national epic - The Kalevala, and its reflection can be seen in the folk patterns used throughout in her work. I find it very influential." I can't get enough of her designs. They are bold, beautiful and perfect! That gift wrap is gorgeous. 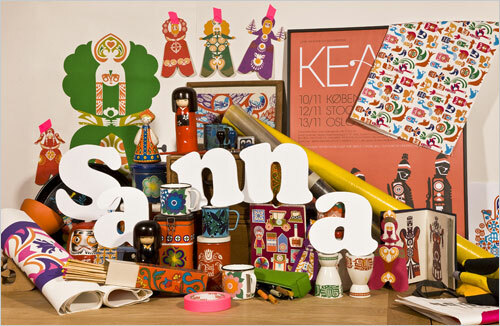 To know more about Sanna read her interview here. These stickers are so warm and season appropriate. I like the combination of browns with all the other bright colors. 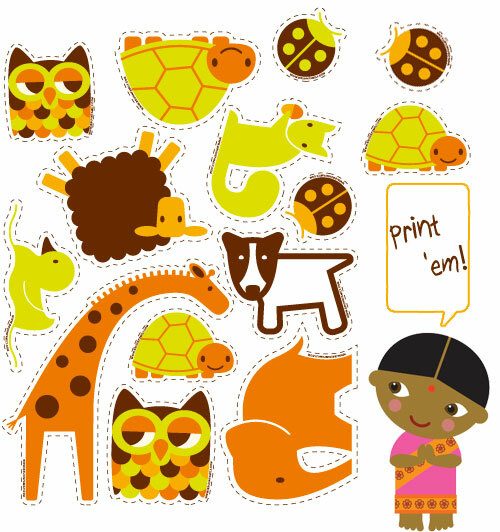 These stickers could be used for numerous holidays craft projects. Different shapes and sizes of trees are so cute! 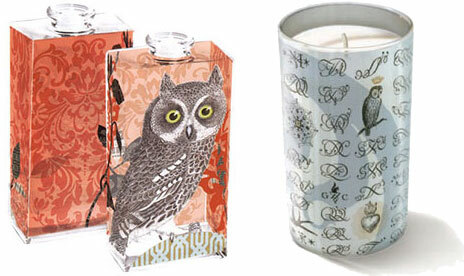 I think they make a fancy home for our owls. What do you say? 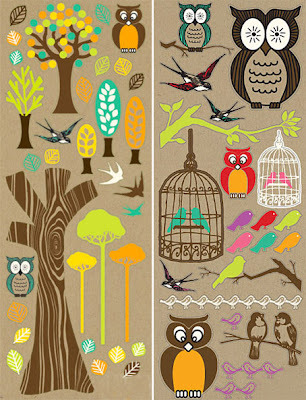 Fringe Studio has two gorgeous design ranges - owl lily and orange owl. 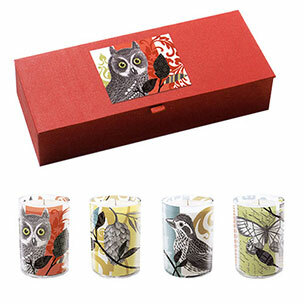 You'll find candle, votive, vase, tray, diffuser, soap set, crystal magnet and more in both the lines. I haven't used any of their products but they sure look luxurious. 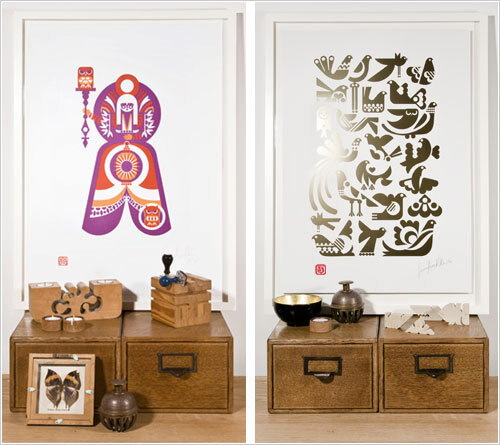 These beauties come at affordable prices, so they could make great Christmas gifts. 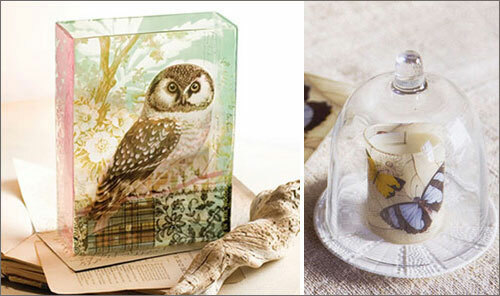 I am putting that owl vase on my wish list! 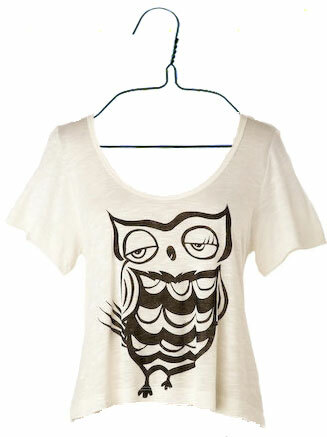 I know Summer is over, but I can't get over these adorable tees. For me, it is very difficult to choose between these two. I can't say which one is cuter. Can you? 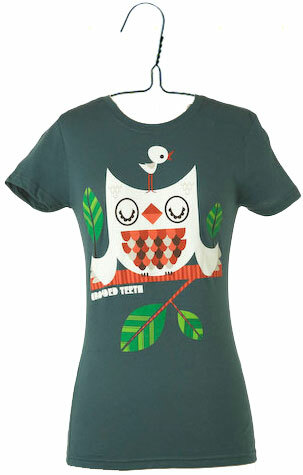 These are available at ModCloth and they ship to almost every country on the planet. 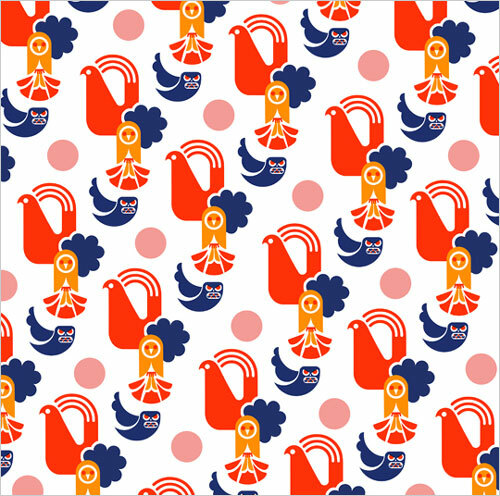 Nancy Wolff is an illustrator and designer who has converted her designs to stationery, packaging, gift wrap, calendars, rugs, fabric and much more. She has a blog, where she show cases her work and plans to share her new weekly themes. Current week's theme is careers. 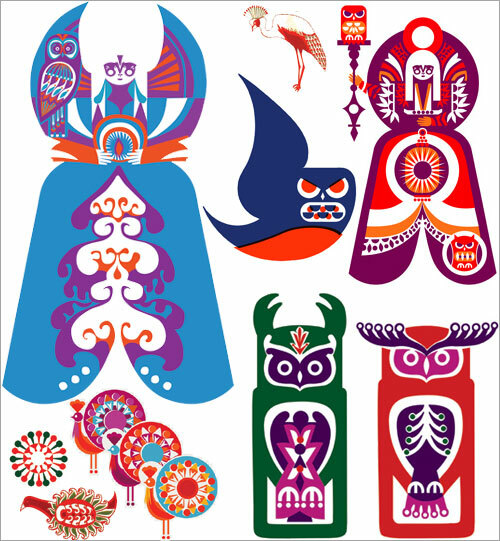 Love the owl in the holiday theme. I am in love with this mug! Isn't it charming? I can use it in an old fashioned way for drinking hot-chocolate after the Thanksgiving dinner or as a pen holder on my desk. I wouldn't want to part with it if I have it. 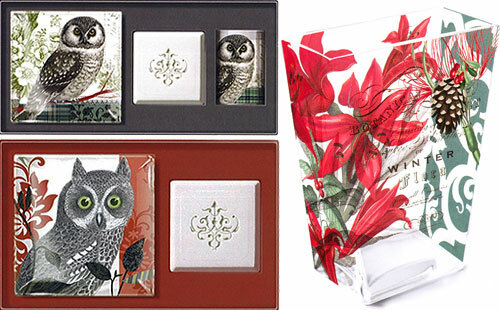 Those cocktail napkins, and salt & pepper shakers are unmistakably novelty products. All these TAG products are available at here. What are your plans for Thanksgiving? Are you going to be a host or guest?